Even though Halloween has already passed by we thought it would be a nice idea to host a spooky little art and story telling event for you. What will the task for this event be ? That's quiet simple ! Simply draw a NosTale Halloween related fan-picture of your favourite villager of Nosville and add a fitting spooky story to it ! What are the "Rules" for this Event ? It's allowed to edit your artwork with software like: "Photoshop, Gimp, etc.."
Note: We're always allowed to deny the choice of your item. Enjoy the event Villagers of Nosville, have a spooky time and see you on November 15th ! Due to the amount of people taking part we have extended the event till 22nd November. Due to personal sickness issues the choice of the winners might will take up till Sunday/Monday, sorry for the late response on that, they've not been forgotten, I just weren't able to work on that yet, anyway the entry will be closed by now, already in forehand thanks for taking part and stay tuned for the winners ! 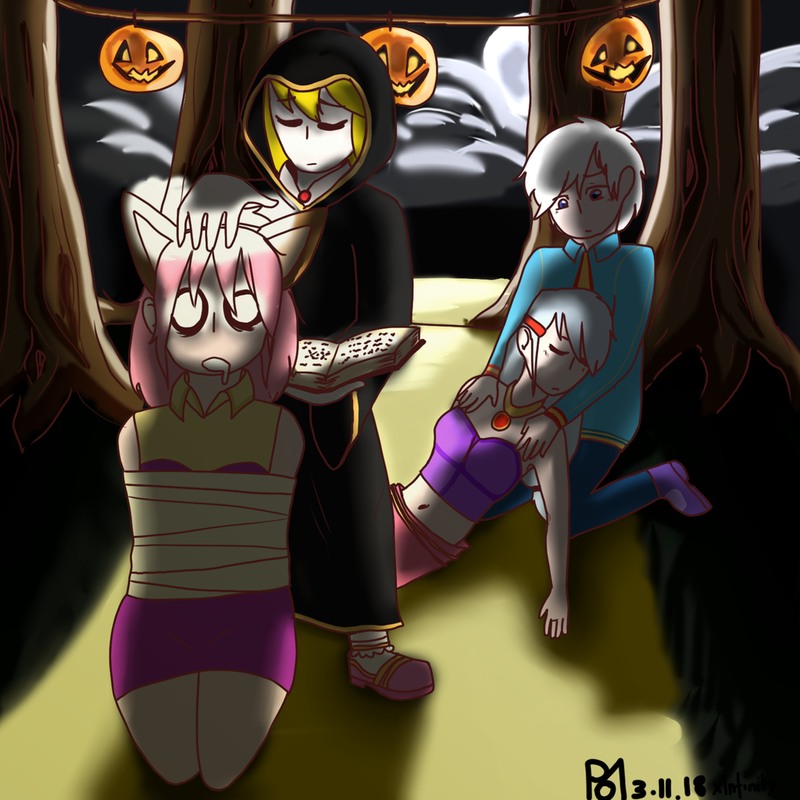 The time has come to announce the winners of this years NosTale Halloween-Art-Event, congratulations to those who have won and a very big thank you to all those who took part in this contest ! There was once a village so peaceful and spread with love. However, during a certain night, it is suddenly covered in chaos and fear. No one had ever had the ability or power to be able to stop the man who creates this frightening night until suddenly, and adventurer decided to pass by. Regina was a warrior who was seeking vengeance against Calvin for being the reason her parents lost their lives, and on one night she had a fateful encounter with the man considered to be no less than a demon. "If you beg for my forgiveness, I wouldn't mind just taking your head," she said with a smile full of confidence. In less than a moment she was overcome with fears and nightmares, mind being filled with memories of the past as to how Calvin slaughtered her parents and the way he spared her out of arrogance and pity. Calvin decided to take his opportunity to show his real power. His eyes matched the colour in a blacket of darkness and he raised his hands slowly. The villagers screamed in terror and all evacuated as fast as they could, and in that span of time, Regina had died from the terror Calvin had brought. Do You think is it a case? Because.. behind his hateful smile , that we have to endure every day...hides a character whitout a soul, perfidious, malicious and diabolical , who enjoiys our failures. Have you ever wondered how halloween come to NosVille? NOTE: To all that have taken part and won in this competition. In order to receive your price I'll need you to write a ticket with the subject General, please mention the wished for prize, your ingame name, your board name and that the ticket has to be assigned to Panda inside of that ticket till November 29th . Congratulations !